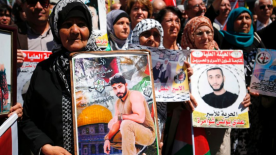 Regarding the ongoing hunger strike by Palestinian political prisoners in Israeli jails, which is now in its fourth week, the IMEU offers the following expert Q&A with Qadura Fares, Director of the Palestinian Prisoner’s Club. 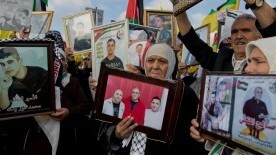 On April 16, more than 1,000 Palestinian prisoners began a hunger strike. 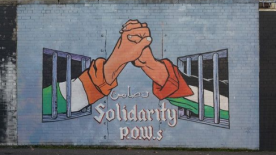 Their primary demands include more frequent and lengthy family visits, better prison conditions such as improved medical care, and an end to solitary confinement and administrative detention – detention without charge or trial. 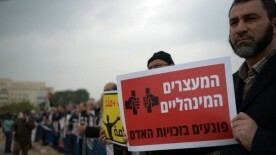 The number of Palestinian journalists in Israeli prisons has risen to 21. 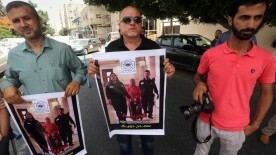 This includes eight media workers arrested since the start of this year, prisoners rights group Addameer said on Monday. Among them are Addameer’s own media coordinator Hassan Safadi and Omar Nazzal, a member of the general secretariat of the Palestinian Journalists’ Syndicate. Ghassan al-Azzeh was detained by Israeli occupation forces and sent to prison when he was just 16 years old. 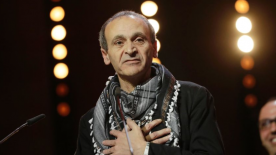 As a young teen in an adult detention facility, al-Azzeh was lost until a group of older artists, also Palestinians imprisoned by Israel, took him in. 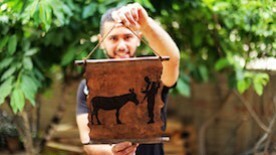 Al-Azzeh was interested in art before he was arrested, but did not take the craft seriously until it became his only reprieve from the daily life of prison. 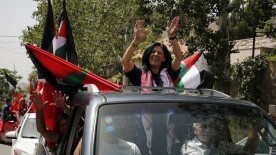 A prominent Palestinian lawmaker vowed to keep up her campaign for prisoners' rights after being released on Friday following 14 months in an Israeli jail, AFP journalists at the scene said. Leftwinger Khalida Jarrar, 53, was arrested in April 2015 and later sentenced to 15 months in prison for encouraging attacks against Israelis, according to the Israeli army. The Palestinian Health Ministry has cautioned about a deterioration in the condition of Sami Janazra, a Palestinian man in administrative detention who has been on a hunger strike for 68 days. Janazra, of Al Fawwar refugee camp, has been at Soroka Hospital in Be'er Sheva for about a week, where he has refused medical treatment in protest of his being held without trial.